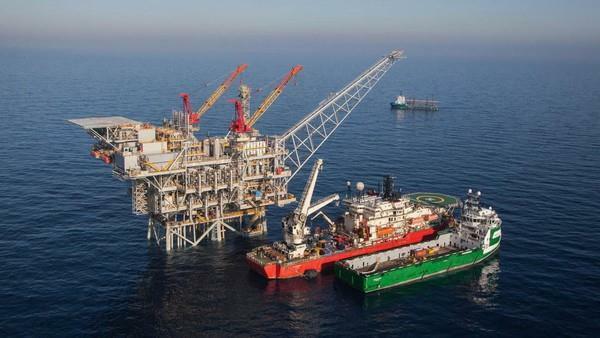 (MENAFN - Daily News Egypt) The Egyptian Natural Gas Holding Company (EGAS) aims to link 1.5bn cubic feet (bncf) of gas per day to national production in 2019 by speeding up the development of Zohr, North Alexandria, and 9B wells. An EGAS source informed Daily News Egypt that the company's plan includes boosting local gas production to 7bncf of gas per day by the end of next year, after offsetting the natural decline in wells' production. He explained that the target production rates were determined in accordance with the production plans for the projects currently underway. The source pointed to intensifying efforts, in cooperation with foreign partners, to carry out large-scale gas discoveries development projects in the Mediterranean and the Nile Delta in order to contribute towards increasing the total gas production to 8bncf per day by 2021. He added that there are intensive efforts exerted by the ministry of petroleum to increase production using advanced methods and technologies to reduce the natural decline in wells, and increase the productivity of existing wells, while the oil sector is implementing plans to augment production of petroleum wealth. The source stressed that Egypt has attractive investment opportunities in the oil sector. The ministry has promising prospects for oil and gas in the oil production areas. He said that the plan of the ministry of petroleum is seeking to repay the foreign partners' arrears worth $1.2bn in full by the end of next year. The source pointed out that the initiatives of payment and reduction of receivables had a positive reflection on the increase pumping foreign oil investments in Egypt to search for oil and gas and the development of discovered fields to be able to increase domestic production of crude oil and gas. The ministry of petroleum seeks to reduce the foreign partner's indebtedness, in parallel with paying about $650m of monthly entitlements to purchase the partners' share in local production.